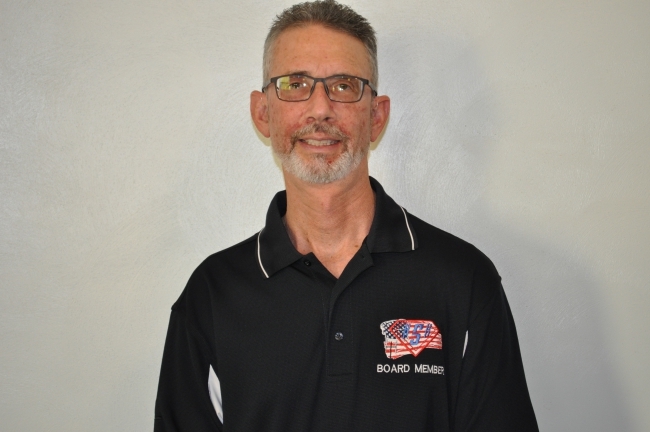 Jeff Lutz, Vice-President, Civilian Affairs of Heroes Supporting Heroes and Co-Founder of West Allegheny Workcamp, has been a partner in the family business of Lutz Contracting for over 30 years. Both he and his brother Ted learned early on from their father, Ebert Lutz, what it meant to do their best in all they did. With a proven track record of 50+ years, Lutz Contracting is known for quality in both commercial and residential projects. Jeff’s awareness of how to use professional skills in his passion for serving others in large projects was sparked when he was part of the Rainbow’s End Memorial Playground project at Clinton Park in 2000. This same passion was exercised in the Bouchon House, a Hosanna Industries project in 2002 and in the West Allegheny Food Pantry remodel in 2010. After falling for a Duquesne Pharmacy student in Sue McGovern, they were married in 1985 and began to build their family and put down roots in the West Allegheny area. Jeff and Sue are proud of their daughter Emmy, a graduate from Penn State and their son Josh, who graduated from West Allegheny High School. Josh has already begun his “career” with Lutz Contracting and has shown there may be another generation ready to continue the legacy of serving the West Allegheny area. Jeff's community focus has shifted from coaching Soccer and Baseball, leading Boy Scouts, to serving with the North Fayette Township Parks & Recreation Department. Jeff is always seeking those, who have genuine needs, to lift them up! Serving with HSH gives him another opportunity to bring good to his community.